FaceMOUSE Machine and FaceMOUSE Fly adopt FaceMOUSE Technology. FaceMOUSE Technology reflects the spirit of his creator, Informatics Engineer Soria Simone, and of the entire A.I.D.A. staff, which firmly believes that nothing is impossible. FaceMOUSE Technology was born in 2004, when Eng. 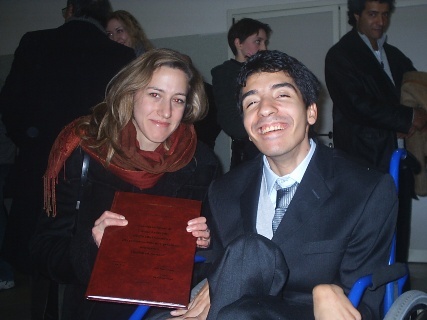 Soria decided to dedicate his Degree Thesis to the creation of an innovative assistive device for disabled people as severly impaired as himself – for example spastic tetraplegic cerebral palsy.